GENEVA – (AFP) – Humanity has pushed the world’s climate system to the brink, leaving itself only scant time to act, the head of the UN’s group of climate scientists said on Monday. “We have five minutes before midnight,” warned Rajendra Pachauri, whose organisation will this month release the first volume of a new assessment of global warming and its impacts. “We may utilise the gifts of nature just as we choose, but in our books the debits are always equal to the credits,” Pachauri told a conference marking the 20th anniversary of the environmental organisation Green Cross International, quoting fellow Indian Mahatma Gandhi. “May I submit that humanity has completely ignored, disregarded and been totally indifferent to the debits? 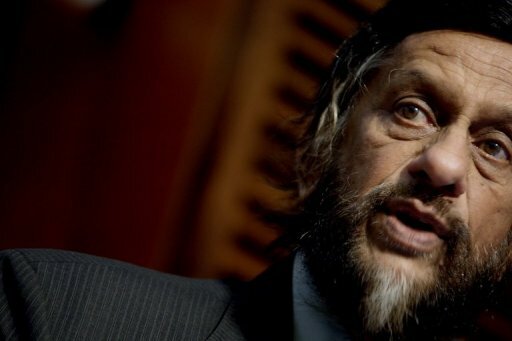 “Today we have the knowledge to be able to map out the debits and to understand what we have done to the condition of this planet,” Pachauri said. The IPCC is made up of several hundred scientists worldwide. It is due to release the first volume of its long-awaited Fifth Assessment Report on September 27. The first tome will look at the scientific evidence for climate change; two more follow next year, focussing on the impacts and the options for tackling the problem. A leaked draft two weeks ago said that human activity is almost certainly the cause of climate change. The draft also forecast that sea levels could rise by 90 centimetres (three feet) by the end of the century, and all but dismissed recent claims of a slowdown in the pace of warming which climate-change sceptics have seized upon. In its previous reports, the IPCC has warned that unbraked warming will drive many species to extinction and hike the frequency or intensity of droughts, heatwaves and floods, affecting food security and water supplies for many millions. “We cannot isolate ourselves from anything that happens in any part of this planet. It will affect all of us in some way or the other,” Pachauri said. Reining in greenhouse-gas emissions was still possible if countries, including in the developing world, rethought their approach to economic growth, he said. That would boost energy security, cut pollution and improve health, and also offer new job opportunities, he added.